The Highlander's capacity, features and value make it one of the most popular family SUVs on the market. The family SUV has replaced the venerable station wagon as the car everyone’s parents own. Not surprisingly, the Toyota Highlander is one of the most popular family SUVs on the market, selling more than 158,000 units last year. The reasons for its popularity are simple: The basic Highlander can carry up to eight people or a tremendous volume of cargo. Furthermore, the Highlander has available all-wheel-drive to handle wet and winter weather, and you get a good set of comfort features for your money. The 2016 model year is coming to a close, and we’ll soon bid farewell to this version of the Highlander, which has only been with us since the 2014 model year. Toyota has already unveiled the updated 2017 model at the New York Auto Show, and it will feature a much more aggressive and modern look, as well as significant drivetrain changes. That update means that dealers will be looking to move their 2016 stock as quickly as possible, giving buyers an advantage at negotiation time. 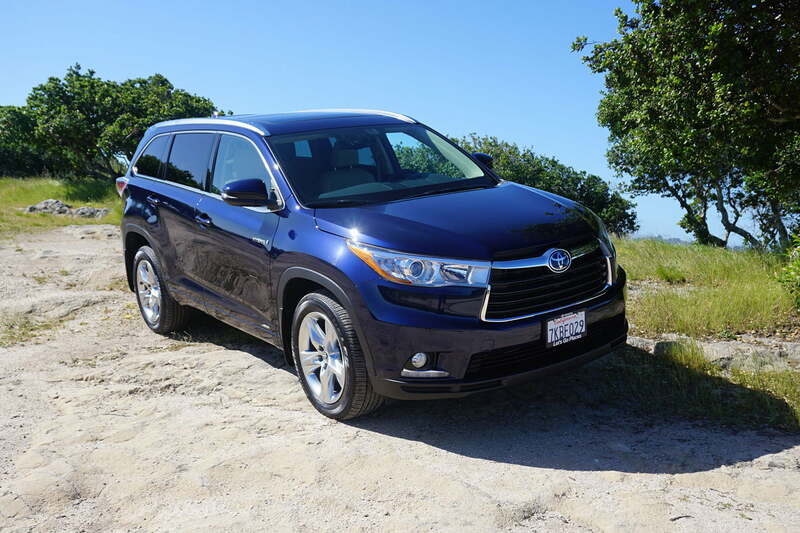 This week, I spent some time driving the top-of-the-line Highlander Hybrid Limited Platinum around Monterey, California. I was reminded why the Highlander is a consistent favorite of families across America and around the world. The basic 2016 Highlander comes with a 2.7-liter engine with 185 horsepower and 184 pound-feet of torque, and starts at $30,890. That’s a great deal for the budget-minded, and all the important stuff will be there. Or you can get a 3.5-Liter V6 at 270 horsepower and 248 pound-feet for only about $1,500 more. That version of the Highlander will tow up to 5,000 pounds, making it perfect for the family with a boat or trailer. To get all-wheel-drive, you have to spring for the V6, which makes sense. 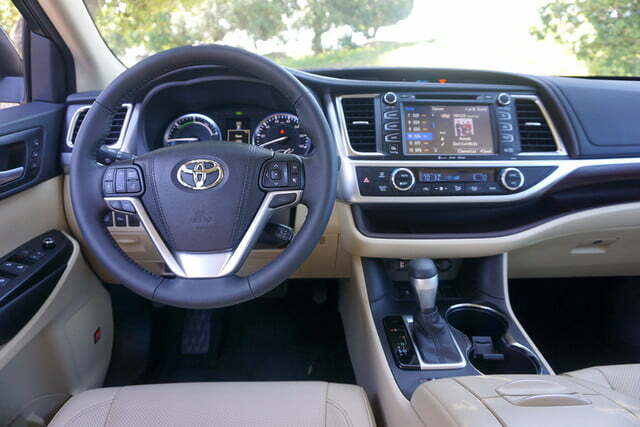 Either way, you get a six-speed automatic transmission with any conventional-fuel Highlander. The hybrid version starts with the same 3.5-liter V6 engine, but tuned down to produce 231 horsepower and 215 pound-feet of torque. But then the hybrid system adds electric motors at the front and rear to help move the machine along, and the front motor is capable of producing 167 horsepower and 247 pound-feet of torque, while the rear motor makes 68 horsepower and 103 pound-feet of torque. The complex math of hybrid systems works that out to 280 total system horsepower and enough torque to move the Highlander along very nicely. With the hybrid system, you will enjoy 3,500 pounds of towing capacity courtesy of an advanced continuously variable transmission in the front and direct drive from the electric motor in the rear. 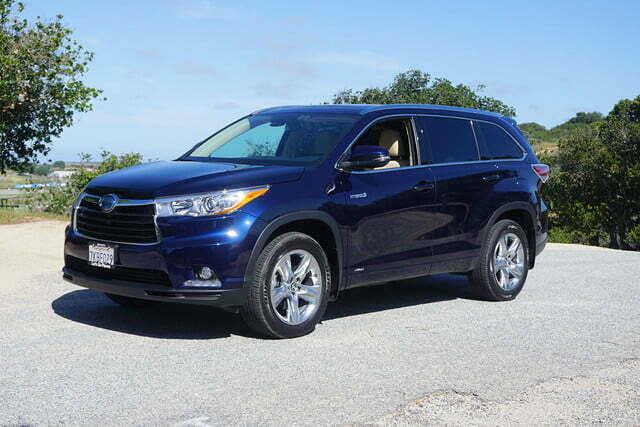 Your perceived performance in the hybrid Highlander should be about the same as in the V6-powered Highlander. Interestingly, the fuel economy bump for the hybrid is not that great. The four-cylinder Highlander gets 20 MPG in the city and 25 on the highway, while the V6 in FWD trim gets 19 and 25, respectively. Add AWD to the V6 and you get 18 MPG city and 24 MPG highway – none of those numbers are dramatic enough to even notice the difference in your gas bill. But if you spend the money on the hybrid, you get 27 MPG in the city and 28 MPG on the highway. So if your motivation for getting the hybrid is to save a lot of gas, you’d be better off saving your money. 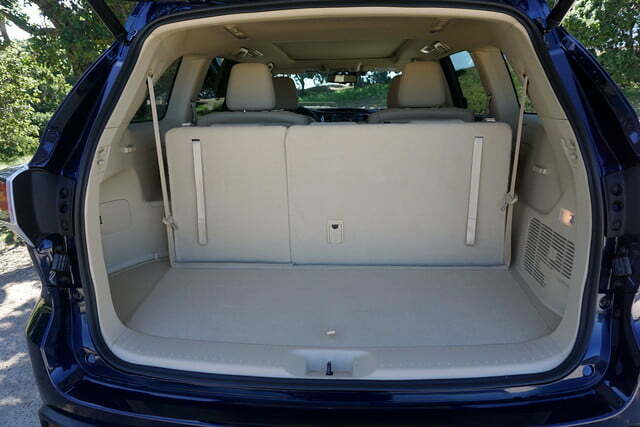 The Highlander is a generous mid-size SUV. It’s not so big that you’ll feel like you’re driving a large truck, but it’s roomy enough to offer 83.2 cubic feet of cargo capacity when all the seats are folded. 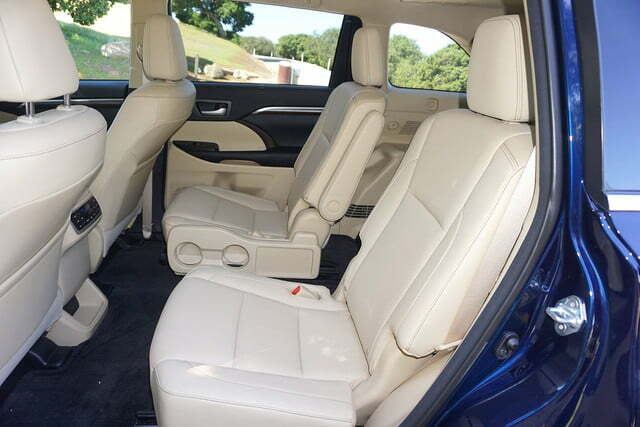 The third row seats fold flat, creating a largish space while still allowing you to haul four or five adults depending on whether you got the second row bench seat or the captain’s chairs. With both the second and third row seats in use, you still have enough space in the back for groceries or some luggage. 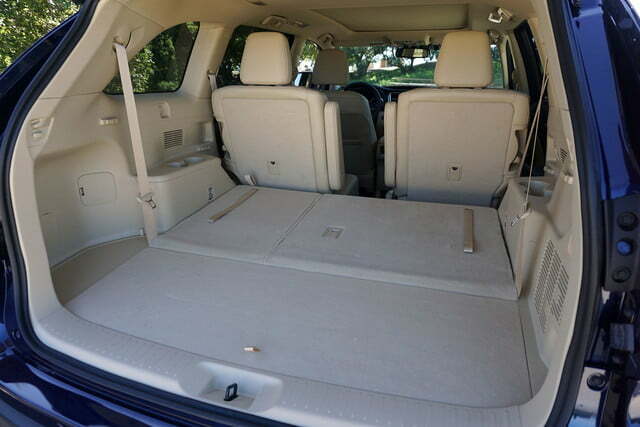 The Highlander also offers a set of roof rails if you really need extra storage space. One big benefit of the Highlander is that you get a nice high driving position for excellent all-around visibility. Industry insiders call it the “command driving position.” That was originally a Land Rover marketing invention, but it means you’ll be looking out over the roofs of all the little people driving passenger cars, and you can exchange amused salutes with the truckers. 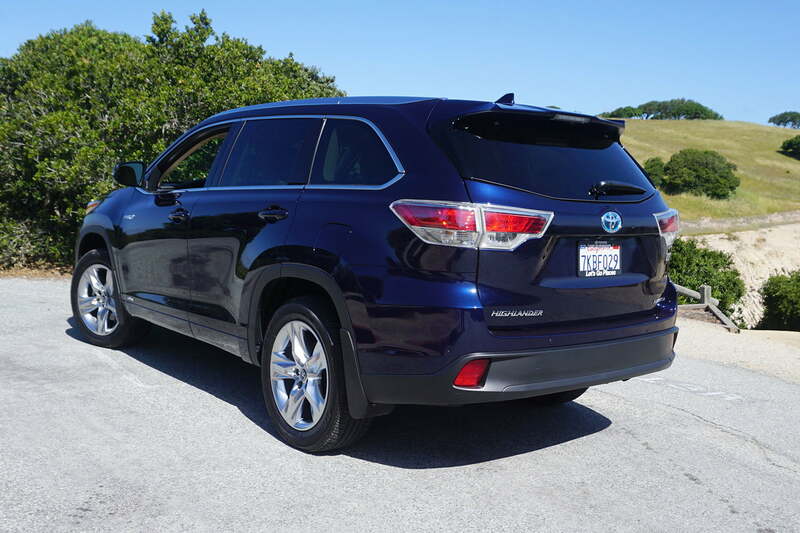 The 2016 Highlander Hybrid tips the scales at 4,861 pounds, and by the time you load it to the limit of the 1,300-pound payload, the maximum gross vehicle weight may be as high as 6,270 pounds. Suddenly that 28 MPG on the highway isn’t looking so bad. Toyota knows their market, and you can get every existing safety feature in the Highlander, especially if you’re shopping at the hybrid end of the price spectrum. Standard safety features include Toyota’s full Star safety suite with electronically controlled, distributed, and automatically assisted anti-lock braking with smart stop, vehicle stability control, traction control, anti-whiplash seats, tire pressure monitoring, hill start assist, blind spot monitor, rear cross traffic alerts, rear parking assist sonar, the LATCH system, and enough airbags to re-float the Titanic. If you step up to the highest trim level, Toyota adds a pre-collision system, adaptive cruise control, lane departure alerts, and automatic high beams. You also get access to Toyota Safety Connect, which offers communications, roadside assistance, remote diagnostics, and other services. 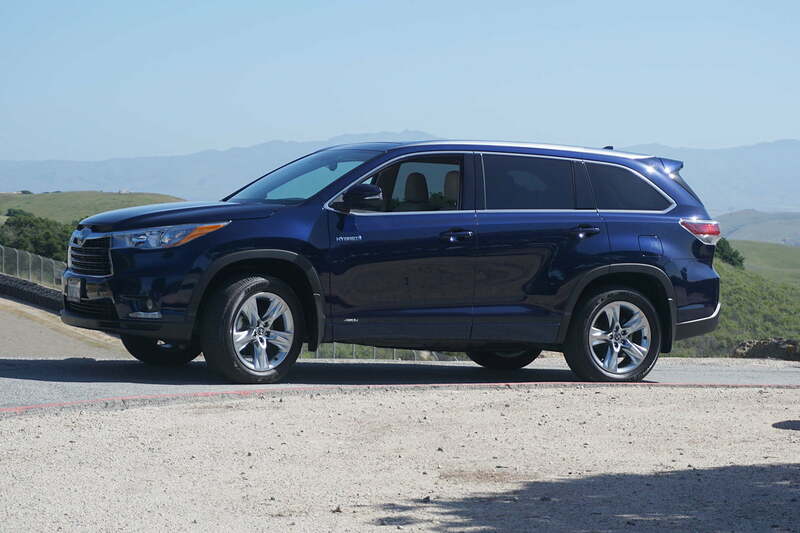 Driving the Highlander Hybrid is unremarkable – as it should be. In a long weekend running around central California, the Highlander was consistently comfortable with the zone climate control working perfectly. 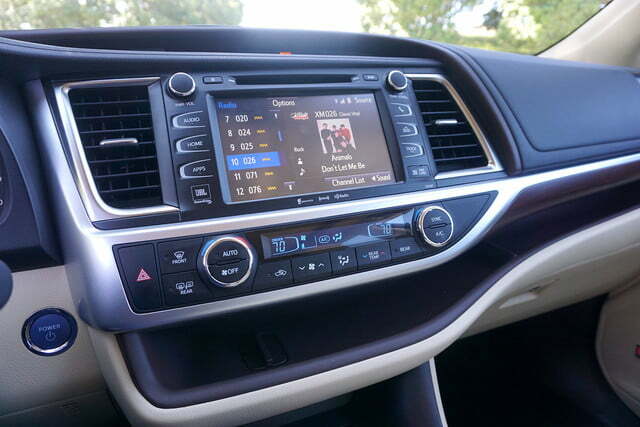 After pairing a phone, the infotainment system was easy to manage and sounded great. The Highlander was quiet when I wanted it to be, and had plenty of power to pass a truck or merge with confidence. I’m not going to waste a bunch of time on the finer points of handling and braking. The Highlander is a big SUV, and if you push it into a corner it will plow like a John Deere. But no one is going to buy one of these and drive it hard. 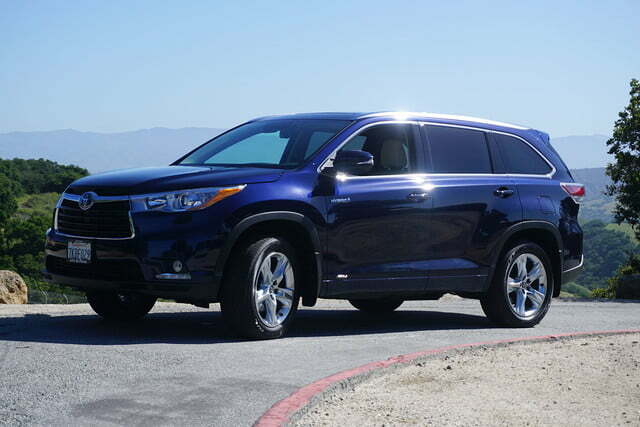 If you’re shopping for a family SUV and you drive the Highlander as it’s meant to be driven, you’re going to like it. 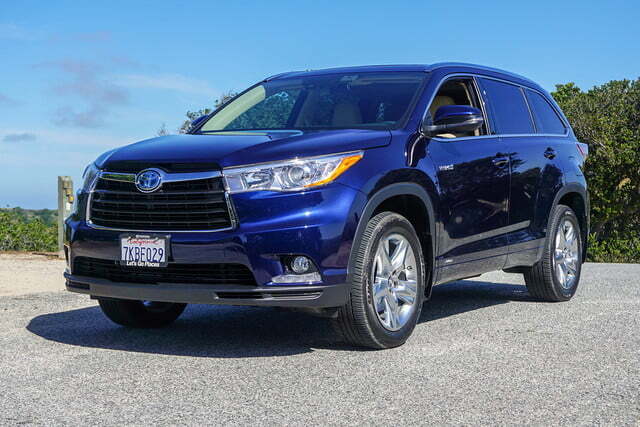 Toyota always offers a variety of trim levels to choose from, ranging from the entry-level LE up to the Hybrid Limited Platinum, so there’s a Highlander to fit almost every budget. 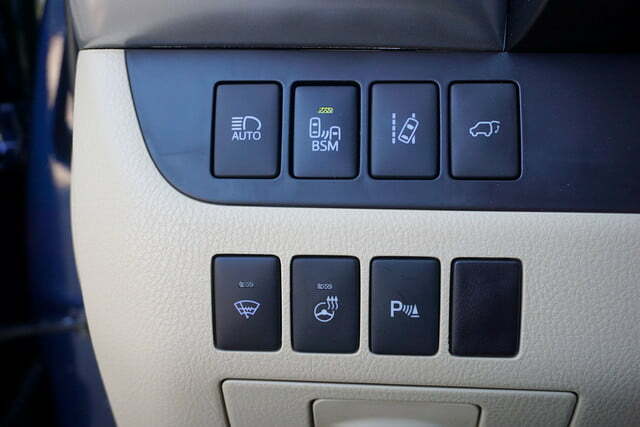 With the hybrid model, you’re stuck in the top trim level, and you have a choice between Limited and Limited Platinum. What you get in the Limited trim is mainly the interior creature comforts. You’ll be sitting on nice leather upholstery that’s both heated and ventilated in the front, and you’ll get the second-row captain’s chairs upholstered in SofTex. You get an 8-inch touchscreen infotainment center by JBL with navigation, backup camera, Siri Eyes Free for your iPhone, Toyota’s Entune apps system, and all the usual sources of music. If you’re considering the Limited trim level, you can either option up with all the stuff in the Limited Platinum trim, or just step up to Limited Platinum and get it all at once. If you opt for the high end, you get a panoramic moonroof, rain-sensing wipers, heated leather in the second row seats, heated steering wheel, and all the extra safety gear mentioned above. What Toyota wants in exchange for the Limited Platinum edition of the 2016 Highlander Hybrid is $51,385, including a $900 destination fee. If you get the Limited version, it’s $48,770. Either way, you’re spending a lot of money, but you’re getting a lot of SUV in return, so I have to call the Highlander Hybrid a decent deal. If you can time your purchase right and get some money off before the new model shows up, it could be a great deal.